Yes, there is a fountain of youth and you can use it to your advantage to burn fat. Okay, so it’s not technically the fountain of youth as in you’ll be 25 forever, but it’s the closest thing we’ve got so why not take advantage of it, right? What is this mysterious fountain of youth? Growth Hormone! Did that seem a bit anti-climatic? My bad! But the good news is that growth hormone really is that powerful. The better news is that you really can increase your own levels of growth hormone naturally, without drugs, by manipulating certain variables such as your nutrition (not just what, but when you eat), your sleep, and even by exercising a specific way. You see, growth hormone levels are affected by things like: stress, sleep, age, food, body mass and exercise. Age is the only one on that list that you can’t manipulate (maybe someday, though!). The secretion of growth hormone can be negatively affected by a poor diet, too little sleep, continuously high stress levels, etc. Low levels of GH has real consequences, such as high body fat levels, poor health, stunted growth, decreased endurance, impaired metabolism and accelerated aging! Manipulating your sleeping and eating cycles, as well as specific exercise protocols, have been shown to significantly increase GH actions. Growth hormone’s main functions include anabolic effects on muscle, stimulating bone growth and lipolysis (using fat for energy!). Let’s take a look at how we can use diet, exercise and sleep to positively influence GH! When it comes to eating, storing body fat and hormonal responses to food (how much, when) humans haven’t really changed. A big part of the problem and challenge with fat loss is that we tend to work against our body’s natural responses to eating (less, more, or not at all). Most people start off by severely restricting calories. While many people can initially see results this way, it’s problematic long term, both for fat loss and health reasons. 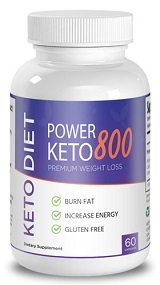 It can completely screw up your metabolism and cause your body to desperately hold on to any body fat you may have left, as the hormonal signals tell your body it’s in trouble and needs that fat to possibly use as energy at a later day because food might not be available. After a period of under-eating the body’s hormonal response triggers hunger and a desire to overeat, what we all commonly call the dreaded binge! The good news is we can use this to our advantage to boost GH and burn body fat! Burning fat is about more than taking in fewer calories than you burn. It’s also necessary to do the things that establish the right hormonal and metabolic conditions in the body that allow the release of fatty acids for energy. Fat accumulates for more than stored energy, waiting to be utilized. It can also be caused by hormonal imbalances, insulin resistance, toxicity levels, etc. One reason low carbohydrate diets can be effective for fat loss is the possibility of correcting an insulin resistance problem that was causing the fat to accumulate in the first place, as high insulin levels can promote fat gain. Insulin is an antilipolytic hormone (anti-fat burning). Insulin has an inhibitory effect on the processes that break down fat for use as energy. The low carb approach attacks a hormonal condition of excess fat, as opposed to directly fighting the traditional calories in/calories out plan for burning fat. While eliminating carbs from your diet and/or restricting calories may not be the long term answer (or may just not eliminate as much fat as you’d wish), they can be used very effectively for burning fat as part of an overall plan of attack for melting away fat. To truly succeed with a long term fat loss plan, you need to attack fat loss from multiple angles (not just calorically but hormonally and metabolically) and focus on increasing fat utilization, boosting your metabolism, and reducing toxins in your body (fat can accumulate to store deadly toxins, protecting you from them). Most of the utilization of fat occurs in the cell’s mitochondria. Muscle is the largest mitochondria tissue in the body, thus the amount of muscle mass you carry and your body composition directly affects your body’s ability to utilize fat. In order to increase fat utilization and improve your rate of fat loss, you will want to incorporate a specific training regimen that utilizes a variety of training modalities such as explosive training, speed training, endurance, and strength training as well. Another hormone we have to watch out for, that can derail our fat loss efforts (and cause a whole host of other problems as well) is the adrenal hormone cortisol. Cortisol, like aldosterone and DHEA, reacts to stressful situations and conditions, helping us to survive tough situations such as physical pain, danger, hunger, injuries, etc. While stress hormones like cortisol are thought to (and can) prevent muscle gain (and fat loss), it’s obvious that stress and muscle building go hand in hand, since intense resistance training (a serious stressor on the body) is needed to build muscle. The trick is in controlling the stress (resistance training) in a way that induces muscle gain, while preventing chronic stress levels, that would leave cortisol levels too high, inhibiting both muscle gain and fat loss. Cortisol levels tend to rise higher and stay elevated after 45 minutes or so of intense exercise, around the same time testosterone levels drop. This doesn’t mean you can’t work out for longer than 45 minutes, if intensity levels and recovery meals are used properly. In general, however, intense workouts that run past this mark could potentially signal trouble to your fat loss and muscle building efforts.